New research demonstrates that having a more ethnically diverse workforce isn’t just important for social justice – it’s also good for the economy. 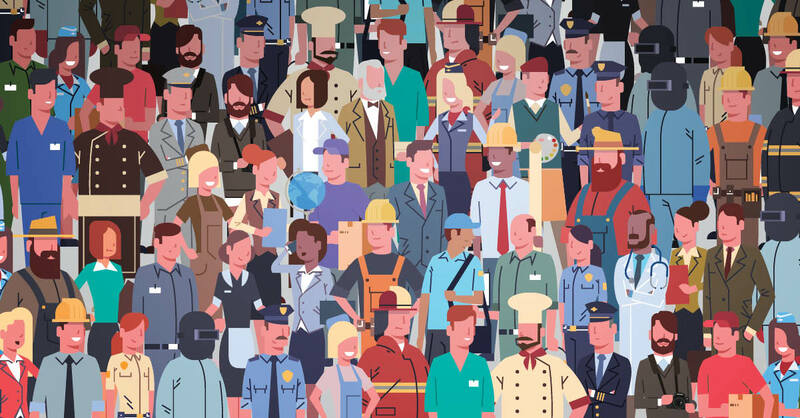 The report, published jointly by the Centre for International Governance Innovation and the Pierre Elliott Trudeau Foundation, found that a diverse workforce is directly connected to increased productivity and revenues. 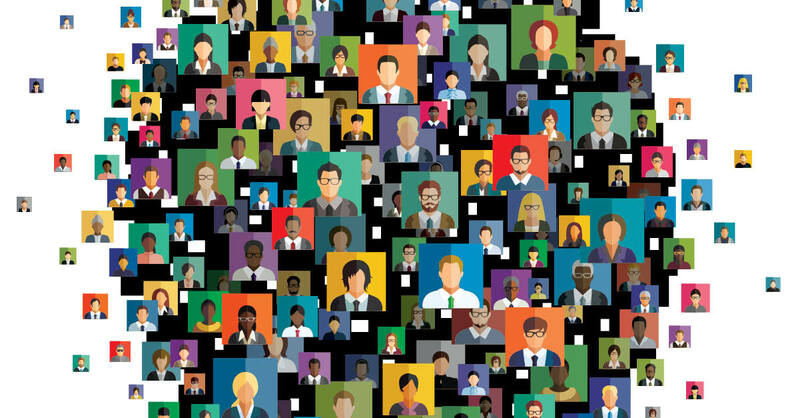 Diversity Dividend: Canada’s Global Advantage found that on average, a one per cent increase in ethnocultural diversity in the workforce is associated with a 2.4 per cent increase in revenues and a 0.5 per cent increase in productivity. The impact is strongest in information and cultural industries, communications and utilities, as well as business services. There was a positive impact in all sectors except basic resource processing. Information and cultural industries have an average 6.2 per cent increase in revenues for every percentage increase in ethnocultural diversity, while for education and health the revenue boost is one per cent. There’s also a strong benefit to having greater gender equality in the workplace. For every one per cent increase in gender diversity, there’s an average 3.5 per cent increase in revenues and a 0.7 per cent increase in productivity, with gains in all sectors. The report finds organizations that embrace diversity tend to be better positioned to handle change, experience reduced workplace conflict, have staff with a greater variety of skills and experiences, are more innovative and outward looking, and are more likely to gain a reputation as socially responsible. More diverse organizations are less likely to engage in narrow groupthink from culturally similar coworkers, and more likely to explore new approaches to a problem or issue. Canada’s population has become much more diverse. At over 20 per cent, we have the largest foreign-born population of any G7 country. But this growing diversity still isn’t reflected sufficiently in many workforces, particularly in higher skilled and management areas, including in the public sector. Many of our workplaces do not reflect the diversity of the communities we live in. Groups that are traditionally underrepresented include women, workers of colour, Indigenous workers, workers with disabilities, and LGBTTQI workers. These workers also tend to be concentrated in lower paid, insecure and more hazardous jobs. Although immigrants have higher education levels than the Canadian average, they and racialized workers are over-represented in low-pay occupations where jobs are less secure. This is particularly pronounced in health care and long-term care, where racialized workers are over-represented as personal support workers, porters and laundry aides. If greater diversity is better for organizations, why don’t we see more of it? Some of the major barriers are lack of recognition of foreign credentials, inadequate access to language training, a reliance on personal connections for recruitment and hiring, and other biases in hiring and promotion. Employment equity and representative workplace programs can make a difference, but must work to ensure women, immigrants, Indigenous people and racialized workers aren’t concentrated just in lower-paid occupations. When racialized and other marginalized workers are underpaid and undervalued, inequalities persist. Building a workforce that is truly representative ensures organizations benefit from greater diversity at all levels of the organization, and fully utilizes the diverse abilities of all workers. CUPE has excellent resources on what union locals and employers can do to help create a more diverse and representative workforce. These include having marginalized group members on hiring committees, engaging in outreach to marginalized communities in hiring, as well as providing human rights, sensitivity and anti-oppression training. Negotiate employment equity language and enforce it. Reach out to and include marginalized group members in committees and decision-making processes to ensure our union is representative of the community we live in. Strike an employment equity committee that includes members of marginalized groups. Bargain and enforce no discrimination/no harassment language in our collective agreements. Mandate human rights training for local officers and stewards. Ensure the employer complies with applicable human rights legislation and employment equity programs. Lobby for employment equity legislation. Provide funding for training and apprenticeship positions. Select a member of a marginalized group when qualifications and seniority are relatively equal in a job competition. Target outreach to marginalized group communities. Provide sensitivity and anti-oppression courses for current workforce members. Establish bridging positions to enable marginalized group members to gain the qualifications and experience needed to advance. Implement work-family balance policies such as child care or elder care. Implement flexible work programs like job shares. Implement anti-harassment programs and policies. Recognize that there is more than one way of doing things.